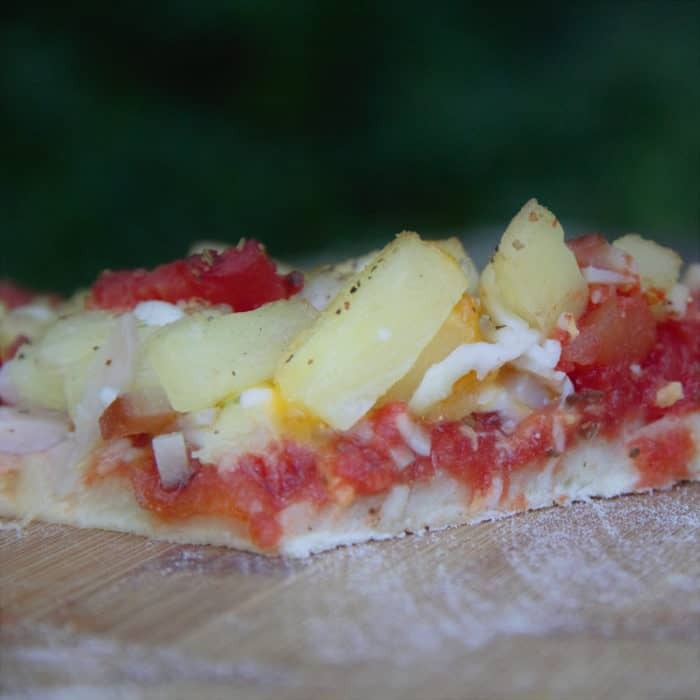 A Hawaiian pizza with a twist! 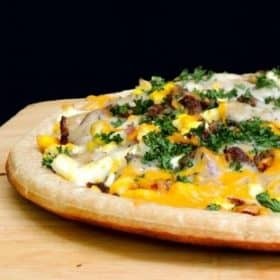 Instead of regular tomato sauce, this pizza is topped with a mixture of BBQ sauce and cream cheese. The BBQ sauce gives a great kick to complement the sweet pineapple and savory ham. 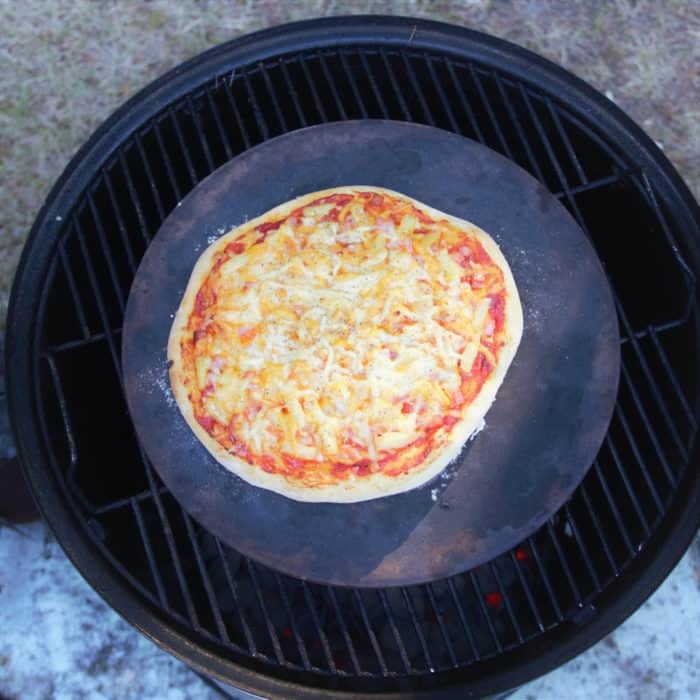 This pizza gets even more flavor bu being cooked on a BBQ or in the oven. 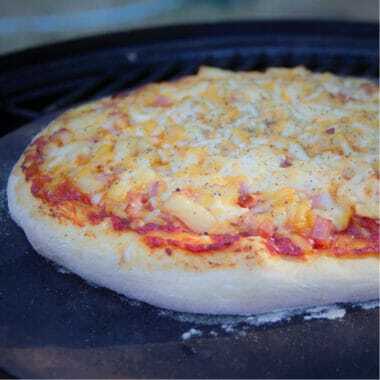 Whether cooked in the back yard or on a camping trip this pizza is a great addition to your recipe collection for any outdoor meal. Preheat a BBQ or smoker to its highest temperature. In a small bowl, beat the cream cheese until smooth and soft. Add the BBQ sauce and stir well until combined. Place the pizza dough on a pizza stone or tray. 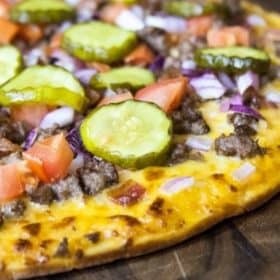 Cover with a layer of the BBQ and cream cheese sauce. 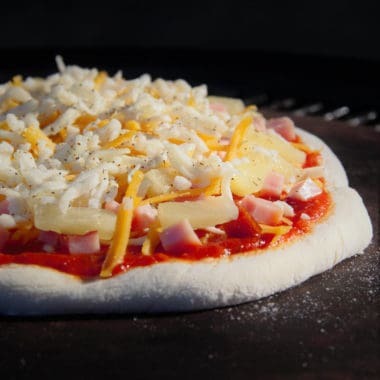 Sprinkle 1/3 of the cheese over the base, then add the ham and pineapple. Top with the remaining cheese. Bake in the BBQ or smoker until the dough is cooked through and the cheese is melted, about 10 minutes.